'"It's an adventure game! It's mass market! It's the anti-Doom! We have to crush this game!" "'What is this?! Demons on Mars?! People are playing this?!" It's been more than 20 years since iconic games Doom and Myst changed the landscape of video games forever. 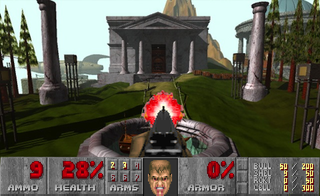 One exponentially advanced the language and possibilities of the first-person shooter genre and the other pulled players into a fictional world like never before. Despite the fact that they spoke to vastly different audiences, both games were huge, phenomenal hits. Not surprisingly, two of the men instrumental to each game's success initially hated the game the other guy produced.